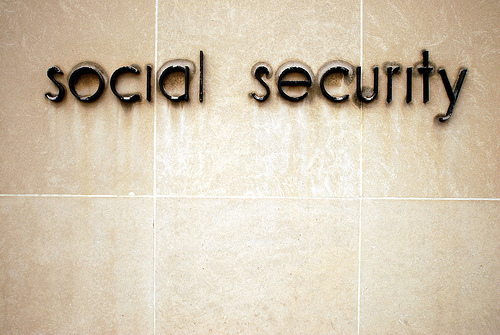 Social Security has become a bit of a buzz word in the world of finance. Individuals and lawmakers alike spend countless hours trying to figure out how long the 75 year old trust fund will stay afloat and what type of benefits, if any, future retirees can expect to see from the program. While we could spend a lot of the Social Security discussion on what the program’s future looks like there’s another critical discussion facing today’s retirees right now – when is the best time to apply for benefits? A little basic background first. Workers who pay into the Social Security system via regular paycheck withholding earn credits. The number of credits earned and the subsequent benefits received depend on how much you earn during your working career. Workers can apply for a reduced benefit as early as age 62 but full retirement age as defined by the Social Security Administration is 67. You can also delay benefits up until age 70 in order to receive an even greater benefit. Many retirees apply for benefits as soon as they hit age 62. Some decide that it’s best to start receiving benefits as soon as possible while others simply need the income. The best time to apply for benefits will depend on each person’s individual situation and factors such as whether or not you’ll continue working and if you’re currently receiving spousal benefits but it’s worth knowing the advantages and drawbacks of applying at different points in time. As mentioned earlier, if you apply for benefits prior to full retirement age, your monthly benefit will be reduced. According to the Social Security website, you can expect to receive 20-30% less per month depending upon your date of birth and when you begin receiving benefits. Wait until age 70 to apply and you could see your monthly payment around 25% above the full retirement age benefit. That ends up being a significant difference. The Social Security Administration tells you on their website that your total lifetime benefits can be expected to be about the same whether you choose to apply for early or late retirement. Smart planners know that this won’t necessarily be the case. Studies have suggested that the “breakeven” age for when to take Social Security is somewhere in the late 70s to around 80 years old. That means if you pass away before the age of 80, you’d be better off applying at age 62. Live longer than that and applying at 70 would give you a greater lifetime benefit. Trying to forecast your exact lifespan is guesswork at best but with many people now living well beyond the age of 80, it suggests that delaying Social Security payments may end up being the better way to go in the long run. Of course, this doesn’t mean that everybody should automatically wait until 70 for Social Security. If you’re a lower income individual or have mounting medical bills or other debts, taking the monthly Social Security payment as soon as you can get might be a wiser choice. Sitting down with an accountant or financial planner to help determine when you should apply would be beneficial. Then, you’ll be able to sit back and enjoy that retirement you’ve worked so hard for! should a young person (30′s) even consider social security benefits when making financial plans for the future? Personally, I say yes. I’m not sure exactly what Social Security will look like 30 years from now or what kind of benefits retirees will see at that time but I’d also be really surprised if Social Security in some form or another wasn’t around then either.